To set agent's chat availability on browser/desktop app, turn on/off the Chat Availability Toggle on the bottom of the left pane in HappyFox Chat account. 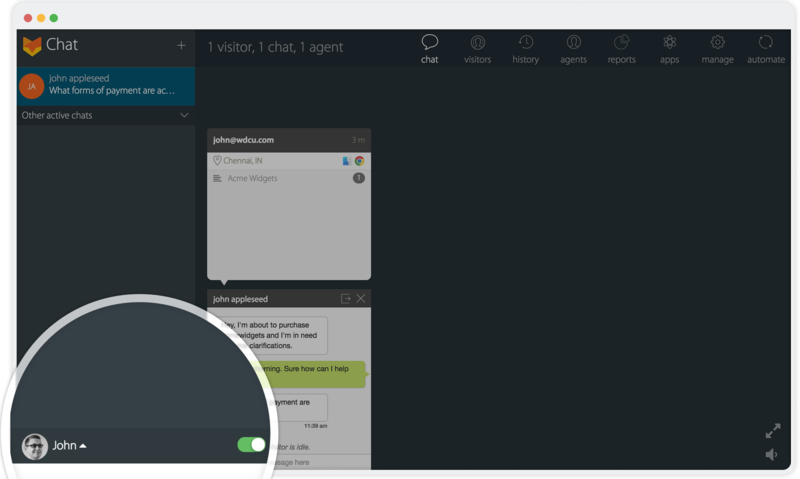 If the agent is Available on HappyFox Chat account, the visitor widget shows the live chat form. The dashboard will be greyed out when you are Unavailable, refer the screenshot below. 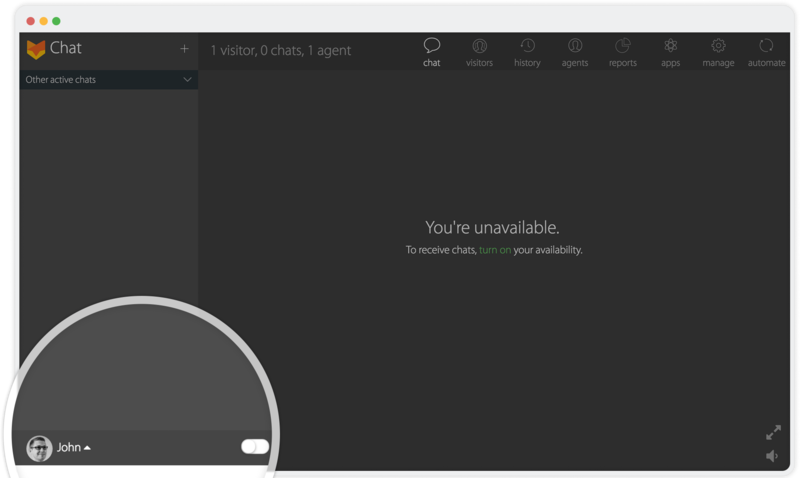 When agents are “Unavailable”, the visitor side widget shows “Offline form”, where customers can leave a message. You can prefer to hide chat widget on the website when no agents are available. For more details check this article - "Hide Widget when no agents available". Under the Agents tab when your status is Unavailable, for other agents your availability status will be shown as Online. When you turn OFF the chat availability toggle during an ongoing chat, you will still be able to continue with the ongoing chat. Only when you are Available, the triggered chat will be functional and other agents can transfer chats to you. When Admins are Unavailable to take chats, they can perform other actions like monitoring chats, widget customizations, checking reports etc., but cannot start a proactive chat.